Pentagon Announces First-Ever Audit Of The Department Of Defense : The Two-Way The Defense Department has famously never been audited, despite receiving hundreds of billions of dollars annually and having more than $2 trillion in assets. "Beginning in 2018, our audits will occur annually, with reports issued Nov. 15," Defense Department Comptroller David L. Norquist said in announcing the Pentagon's first-ever audit. "The Defense Department is starting the first agency-wide financial audit in its history," the Pentagon's news service says, announcing that it's undertaking an immense task that has been sought, promised and delayed for years. Of the tally that is starting this week, chief Pentagon spokesperson Dana W. White said, "It demonstrates our commitment to fiscal responsibility and maximizing the value of every taxpayer dollar that is entrusted to us." "Beginning in 2018, our audits will occur annually, with reports issued Nov. 15," the Defense Department's comptroller, David L. Norquist, said. The Defense Department has famously never been audited, despite receiving hundreds of billions of dollars annually and having more than $2.2 trillion in assets. For the Pentagon to get to this point, it has been, as they say, a process. The U.S. government established requirements for each agency to present financial statements back in the 1990s. But for more than 20 years, the Department of Defense has lagged other agencies that were following modern accounting standards, reporting what they received and spent. In 2010, Congress included a requirement in the National Defense Authorization Act that gave the military "an extra seven years to clean up the books and get ready," as Sen. Chuck Grassley, R-Iowa said last year. That set a new deadline to be ready for an audit by September 2017. In late 2016, reports emerged that Pentagon officials had "buried an internal study that exposed $125 billion in administrative waste in its business operations amid fears Congress would use the findings as an excuse to slash the defense budget, as The Washington Post reported. In January, the Government Accountability Office said, "serious financial management problems at the Department of Defense (DOD) that have prevented its financial statements from being auditable." The agency listed the Defense Department as its prime example of major impediments to attempts to render an opinion on the U.S. government's financial statements. 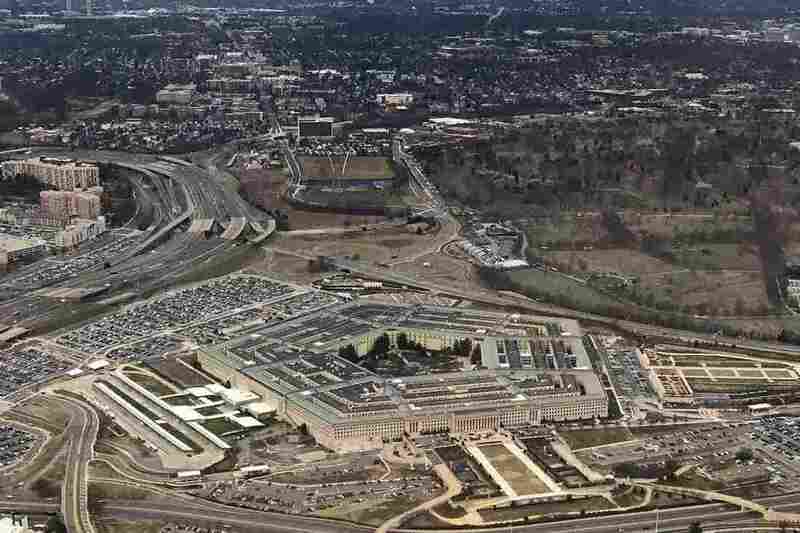 To carry out the audit, the Pentagon says it will deploy 2,400 auditors to go over records and examine bases, property and weapons of a federal department that had a budget of $590 billion last year. As for how the audit would work, Jim Garamone of the official DoD News agency reports that the department's Office of the Inspector General has "hired independent public accounting firms to conduct audits of individual components — the Army, Navy, Air Force, agencies, activities and more — as well as a departmentwide consolidated audit to summarize all results and conclusions." The Defense Department's lack of a financial reckoning hasn't hurt its funding. Last month, Congress approved nearly $700 billion for the department — some $100 billion more than last year's budget and billions more than the $639.1 billion that had been initially requested by President Trump. The Pentagon audit would deliver on a campaign pledge by Trump. He was one of several candidates, including Democratic nominee Hillary Clinton and Republican Sen. Ted Cruz, to make that promise — perhaps in the knowledge that the audit had already been federally mandated. After taking office, Trump later nominated Norquist, a former Department of the Army employee whose experience includes stints on the staff of the House Appropriations Committee and as the chief financial officer of the Department of Homeland Security, as the Pentagon's comptroller. This summer, Norquist was asked by Defense News if the looming audit was "the biggest bugaboo of the job." Norquist replied, "I don't think of it as a bugaboo. I think of it as a great opportunity." An audit would allow his office to find errors more easily, Norquist said, and to analyze the Pentagon's data to look for patterns and trends that could help make it more efficient. "It is important that the Congress and the American people have confidence in DoD's management of every taxpayer dollar," Norquist said this week.